Julie Kalloch is passionate about raising awareness for Alzheimer’s disease. She’s affected by the disease every day because she sees the devastation it can cause both the person with the disease and the loved ones around that person. I met Julie at a networking event sponsored by our local Chamber of Commerce. She works at Winship Green Nursing Center in Bath, Maine as program director for a 22 bed dementia unit. I could immediately see from talking with her and her co-worker that she was dedicated to helping the residents and families she works with on a daily basis. The dementia unit that Julie and her team work in is a secure unit, a setup that is fairly unique and brings some difficult challenges. Care is needed 24 hours a day for residents. It’s the type of care that is extremely difficult to give at home. Julie noted in our conversation, and in a letter to the editor to our local newspaper, that Alzheimer’s disease received the least amount of funding from the federal government for research. Cancer, heart disease and HIV receive far more. She also noted that with life expectancy growing and the baby boomers getting older, now is the time to raise awareness of the devastation of Alzheimer’s disease. So, she and her team work year round to raise funds with various events and activities. And while doing so, they raise awareness. The overall goal, Julie says, is to get more community involvement. 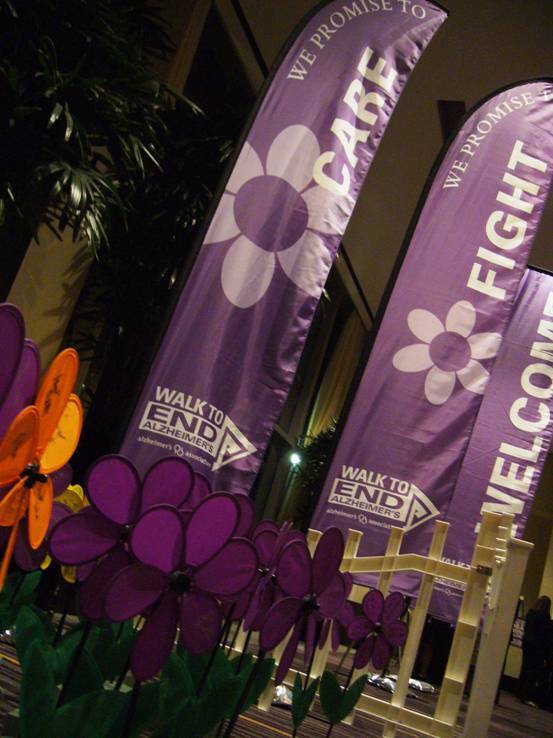 You can keep up with the Winship Green Walk to End Alzheimer’s fundraising efforts on Facebook – including an upcoming sock hop at the nursing center on July 27th – or donate to their cause directly on their team page.